Cancer is an immensely complex disease to treat. The number of mutations and combinations of mutations that can lead to its development make each “cure” more of a patch to a few specific cases. Couple that with the increasing rate of mutation within cancer cells, and it becomes difficult to even diagnose the issue. Plasmon therapy offers the potential for a broadly applicable treatment, and because it couples well with the bodies immune response, offers a therapy that could decrease the chance for metastatic tumor development. Before we discuss this topic with greater specificity, a few terms should be defined. Plasmons, from the word plasma, are a material that has electrons that flow back and forth in a wave when light shines on them. Plasmas are just gaseous ions, like lightning or neon signs, and in the case of a plasmon, this plasma is confined to the surface of a nanoparticle. You can read more about plasmon theory here. Nanoparticles abound in modern technologies and are defined by one dimension, the so called “critical dimension”, which is around two hundred nanometers. For reference, that’s roughly one hundred thousand times smaller than a human hair. This size can afford a variety of unique properties to a molecule: distinct colors, uncharacteristic electronic activities, and even the ability to move through a cellular membrane. All these attributes will come into play in how these molecules interact with cancer cells, so they’re important to keep in mind. Plasmons are nanoparticles that are so small, that the plasma on the surface can be manipulated by light. This rapid movement of plasma gives rise to heat as it collides with surface particles just as your hands generate heat rubbing together. The type of light that does this can be visible or even radio waves, meaning that very low-energy and harmless beams can be used to generate this rapid heat. The second bit of background knowledge necessary for this discussion is: how is cancer treated in the first place? Many current cancer therapies come from small molecules roughly the size of glucose. Whether they use metals or strictly carbon, small molecule cancer therapies usually rely on interrupting one or a few cellular pathways, like DNA replication or a checkpoint before mitosis (cell splitting). One of the first nanoparticles approved for cancer therapy have been gold nanorods, which are thousands of times larger than a small molecule and have used physical rather than chemical mechanisms for therapy. To clarify, instead of changing some pathway in a cell, these nanorods can selectively heat cancer cells until the cell dies. If you were to think about this in terms of pest control, nanoparticle therapy is like burning a nest of cockroaches. In that same case, using small molecules like cisplatin would be like spraying the cockroaches with the latest bugkiller. Extending this analogy, it’s fairly obvious that setting a fire inside someone’s body is not a good medicinal practice, so it would be fair to question how plasmon therapy might be helpful. There are two strategies for plasmon cancer therapy: precision lasers and radio waves which can pass through a body. The earliest use of plasmon cancer therapy used a fiber optic that was inserted under the skin to a location near the tumor. Then, beams of light would hit only the tumor. This has the advantage of targeted dosing, but can still be considered fairly invasive. Others have begun using plasmons that generate that intense heat with radio waves so that no procedure is necessary: simply an injection or ingestion of nanoparticles and then stepping into a radio transmitter This can be impractical if the tumor is not in a confined space. Common gold plasmonic nanoparticles would go inside all cells so healthy cells would be damaged just as easily as cancerous ones. Recent work shows that the surface of the nanoparticle can be changed so that the majority of uptake occurs by cancer cells. Cancer cell metabolism makes the charge of cancer cell membranes different from the charge of normal cell membranes, so these nanoparticles can exploit that difference to target only cancer cells. With this targeted dosing, plasmons show promise as a noninvasive form of therapy that do not harm the patient and would be applicable to most forms of cancer. Even though the safest and most effective nanoparticles will use gold, treatment costs are currently around $1000, thereby promising a treatment that will not be prohibitively expensive for the future. Peer edited by Kasey Skinner. Optical communication devices may be the first step in space travel. Technology moguls dream of human colonies on other planets. 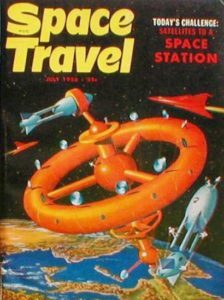 For this dream to become reality, science needs to develop new spacecraft capable of transporting people and cargo to the outer reaches of our galaxy. Another challenge is how to find a route to these other planets. We can’t just use Google Maps. Space travelers would have to navigate around comets, space debris, or orbiting planets. Complex models and communications developments would be needed to move through galaxies safely and quickly. Light-based communication is desirable because it can transmit more data per second while producing significantly less heat. This means that less energy is spent cooling equipment, making the it more efficient to run compared to conventional electron-based communication. Similar to how electronic devices maneuver electrons through a computer chip, photonic devices maneuver light for optical communication. Normally, a magnetic field is required to produce a change in optical properties necessary for one-way light propagation. However, the size of magnets are too large to be incorporated efficiently into nanoscale devices. 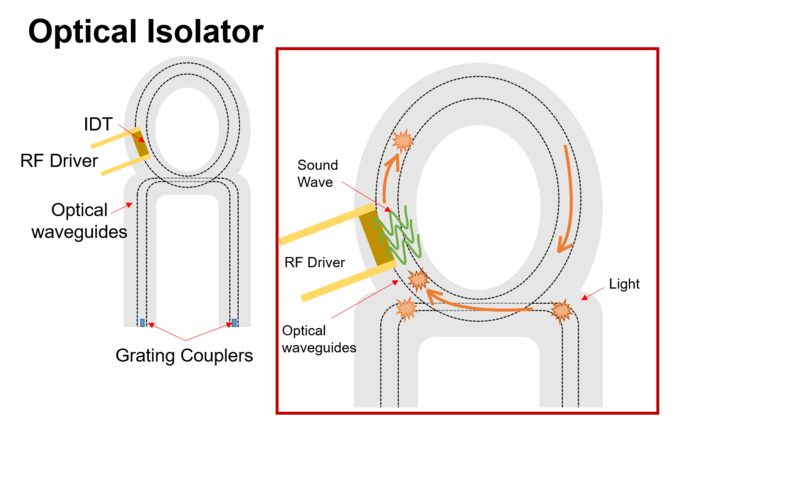 To address this problem, University of Illinois researchers created a nanoscale photonic device called an optical isolator, using sound waves instead of magnets for one-way light guidance. The optical isolator device is made from aluminum nitride. A radio frequency driver (RF driver) generates a radio frequency signal that is used to create a sound wave. The RF signal is applied to an IDT, consisting of two interlocking comb-shaped arrays of metallic electrodes that convert electrical signals into surface sound waves. The grating couplers allow the light, generated by a laser, to enter into the device from one direction. The light travels along the optical waveguides and is transferred from one optical band to another, interacting with the previously converted sound waves. Light is able to pass through the device when the shape of the light wave matches the shape of the sound wave going in the same direction. However, light waves going in the opposite direction of sound waves are absorbed by the device and are unable to pass through, thus maintaining the one-way propagation of light. This new device allows for a more reliable and sensitive transfer of information that can be used in devices such as atomic clocks and GPS. Such innovations may be the first step toward developing deep space navigation and travel. Peer edited by Portia Flowers. On Christmas Eve 1956, a woman caught the last train to New York in the snow to report experimental results that would alter the landscape of modern physics forever. Although members of the physics community would initially dismiss her results as nonsense, the evidence would soon become incontrovertible, launching many scientific possibilities. C. S. Wu working in the lab. The scientist’s name was Chien-Shiung Wu, and it took her many years of study and perseverance to make this discovery. Starting at a young age, she was quite curious about the natural world. Chien-Shiung Wu’s father, Zhongyi Wu, was an engineer who believed strongly in equal rights for women. He started the first school for girls in his region of China. Chien-Shiung Wu was one of the first girls to obtain a formal education in China. She rapidly outpaced her peers, and proceeded to an all-girls boarding school 50 miles from her home. She continued on to college in Nanjing before traveling across the globe to pursue her graduate degree at University of California, Berkeley, in the US. Not long after her arrival in California, Chien-Shiung learned of the Japanese invasion of China, which affected her family’s hometown. She would not hear from her family for eight long years. After she completed her PhD, she was considered ‘the authority‘ on nuclear fission, according to Robert Oppenheimer. Renowned physicist Enrico Fermi even consulted her for advice on how to sustain a nuclear chain reaction in the making of the atomic bomb. For decades, physicists had assumed that, there was no way to differentiate left from right according to quantum mechanics. Quantum mechanics is the theoretical underpinning of modern physics that successfully describes the behavior subatomic particles. The assumption that left and right were indistinguishable was known as ‘parity symmetry’. It was naturally appealing, much like symmetries that exist in art, biological organisms, or other natural phenomena, like snowflakes. 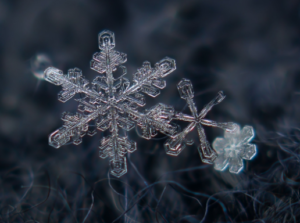 Zoomed-in image of a snowflake. When Mme Wu awaited the train that Christmas Eve, she was surrounded by snowflakes, a reminder of how symmetry is ubiquitous in the natural world. Such symmetries stood in stark contrast to the discovery she was about to announce. Nonetheless, the idea of this symmetry was called into question at a scientific conference in 1956. 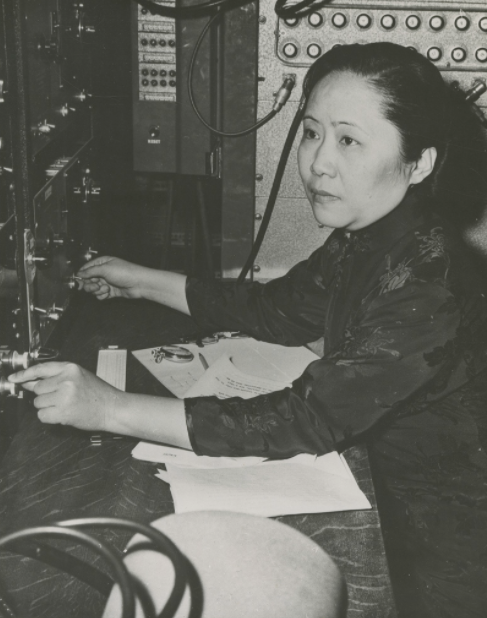 Within that same year, Chien-Shiung Wu would demonstrate in her lab at NIST that parity was violated for particular types of decays. In other words, these decay processes did not look the same in a mirror. This discovery was far from Chien-Shiung Wu’s only claim to fame. Wu made many advancements in beta decay, which is the disintegration of a neutron that results in the emission of an electron and another particle called a neutrino. It was eventually with the beta decay of the element cobalt-60 that she ran her famous parity violation experiment. Using a magnetic field and low temperatures, she was able to achieve the parity violation results that turned the world on its head. 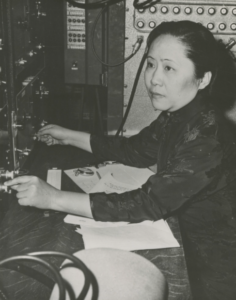 Chien-Shiung Wu did not receive the Nobel Prize, though her two male theorist colleagues did. In spite of this oversight, she obtained recognition in other ways. She was the first female physics instructor at Princeton University and the first female president of the American Physical Society (APS). Her success can be partially attributed to her parent’s encouraging attitude towards women’s education. Fortunately, they survived the Japanese invasion during World War II, with her father engineering the famous Burma Road. C. S. Wu ushered in an entirely new era in which other assumed symmetries would be overturned, helping us to more deeply understand the state of the universe that we see today. Peer edited by Kaylee Helfrich. 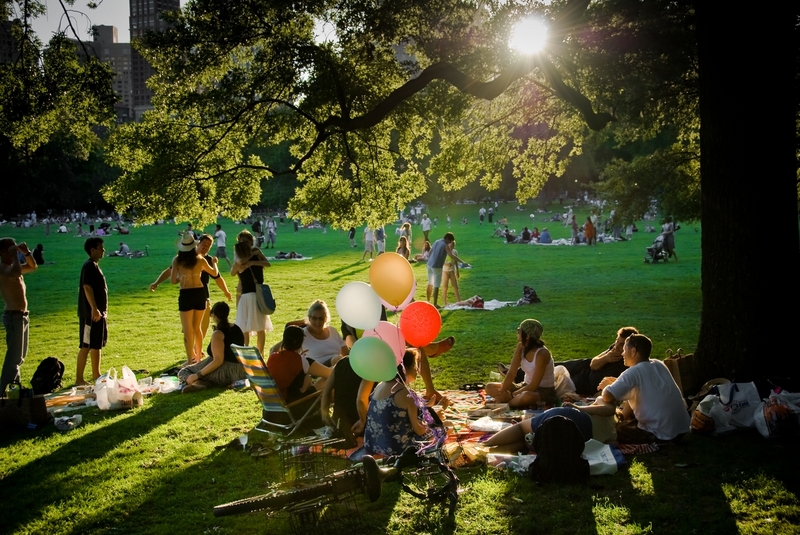 Before we know it, it will be summer. That means sunny days, flowers, barbecues, beach trips, and family reunions. With family reunions comes having to explain to every cousin, aunt, uncle, and grandparent what it is that you actually do while you’re conducting research. Family reunions at the park can often lead to confusing explanations of your research! I tell my grandma that my article is about germanium nanowires with unique electronic and phononic properties that have generated new interest in their use for electronics and space technologies. My work investigates how energy is converted to coherent acoustic phonon propagation within germanium nanowires using ultrafast pump-probe microscopy. Grandma politely nods as I talk and then says “those bugs sound interesting.” Where did the “bugs” come from? Nanowires are not bugs. Clearly, there was a disconnect somewhere. Why is effective science communication important? Publishing is essential in order for a scientist to have a successful career. But publishing comes in many forms: scientific journal articles, news releases, social media posts, etc. At the center of this is being able to communicate our research to others. As scientists, we need to focus on engaging our audience, and before that, take the time to consider who is in the audience. Are we talking to other scientists in our niche field, scientists in another area, or the public (like Grandma)? By leading my research summary with the details of my experimental methods, the audience gets overwhelmed with jargon and details. What the general public really wants to know is the main result and why they should care. Determine the goal for communication: are you trying to influence decision-makers, humanize scientists, build trust between the public and scientists, etc? Engage the audience: with whom are you communicating and what motivates the audience? Tell a story, ask a question, find commonalities. Determine the message: think about the most important result that you want the audience take away from your talk. Quality before quantity. I went to my first country concert in Raleigh, NC and saw Lady Antebellum, Hunter Hayes and Sam Hunt. The way the bands played their guitars was beautiful. You could feel the passion and sound waves rolling through the Amphitheatre. In my research, we basically build and play “nano-guitars”. Germanium nanowires, wires that are about 60,000 times thinner than a single human hair, are suspended over tiny trenches, similar to the strings across an acoustic guitar. I use a laser, like a musician uses a guitar pick, to make vibrations (sound waves) in the nanowires and watch them travel along the wire. In guitars, the frequency or pitch of the sound wave is determined by the thickness, length, elasticity, and tension of the strings. The same thing happens with the germanium nanowires, changing the diameter of the nanowire changes the frequency of the vibration. Photons hit the nanowires and launching vibrations. Essentially, this is a nanoscale acoustic guitar! By studying the vibrations and how they travel through a nanowire, we learn how elastic (flexible or resilient) materials are as they shrink to the nanoscale. With this information, we could design new electronics that use vibrations to learn more about the world and universe we live in. Want to develop the skills to communicate science to a general audience? Check out these upcoming workshops at UNC! SWAC Writing Workshop: The writing workshop is the final event in the SWAC seminar series and the opportunity for you to workshop your own science piece for general audiences. Whether you’ve started a blog post and want a chance to polish it or are interested in writing but are not sure where to start, you are invited to come get feedback from peers and science communication experts from around the Triangle. Peer edited by Tom Gilliss. Cold, What Is It Good For? Winter is officially still three weeks away, although the alternating 30° F nights and 75° F days makes that difficult to remember. 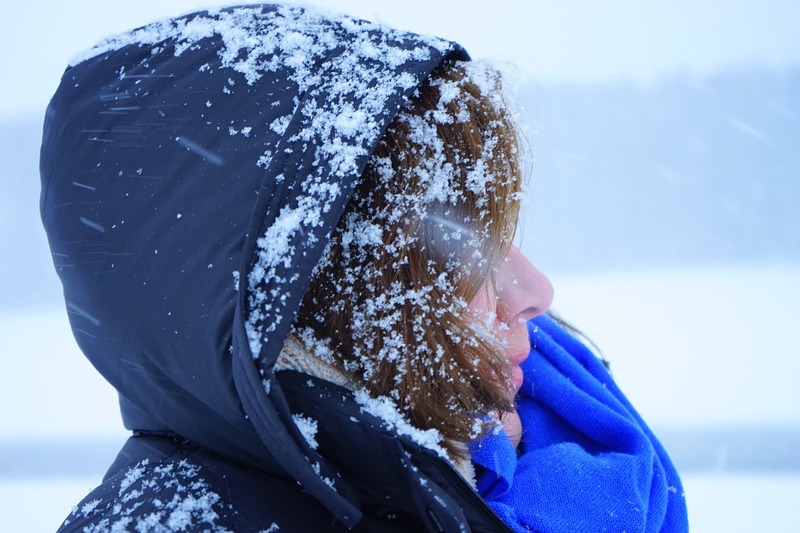 The arrival of winter means that it is less pleasant to be outside, there are fewer hours of sunlight, and it is harder to get out of bed in the morning. Most Southerners don’t really enjoy the winter. But here are three ways really cold temperatures actually help physicists in their quest to understand nature. Some telescopes must go to the extreme cold in Antarctica. The South Pole Telescope is recording some of the first light from the universe. This light, called the Cosmic Microwave Background, contains clues to help astronomers understand what makes up the Universe and how that has changed over time. The high altitude and low temperatures in Antarctica make it possible to see these radio waves, as there is less water vapor present in the atmosphere to absorb them when compared to other regions. For a fascinating account of what it is like to work with the South Pole Telescope, check out Keith’s blog from his time there. For most observatories, the best observing conditions occur during the winter. This is primarily because the air is less turbulent. Heat from the earth rises up at night during the summer months, creating a more turbulent atmosphere. This causes stars to appear more blurry. But during the winter, the ground is cooler, so there is less turbulence at night. However, most observatories experience more extreme weather during the winter, somewhat limiting how often astronomers can utilize the best conditions. The colder weather is a great reason to go to a star party over the next few months. For people living in the Triangle, the Morehead Planetarium teams up with the Chapel Hill Astronomical and Observational Society to stargaze about once a month at Jordan Lake. You can see the full schedule here. When you think about how things move and interact, you are most likely pondering what physicists refer to as classical mechanics, the motion of relatively large things. But quantum mechanics deals with how tiny, individual atoms and particles move and interact with their environment. However, quantum mechanics is difficult to study because atoms move quickly at room temperature. When the temperature drops, though, atoms lose energy and slow down. This enables physicists to study some of the strange quantum mechanical properties of atoms. For example, at temperatures around -459° F, individual atoms can gather together and begin acting collectively like a single atom. At the coldest possible temperature, known as absolute zero (-459.6° F), atoms lose all their energy and stop moving. This phenomenon of particles acting as a group only occurs close to absolute zero, forming a state of matter known as a Bose-Einstein condensate. First created in a laboratory in 1995 and winning the Physics Nobel Prize in 2001, Bose-Einstein condensates help physicists study some of the strange quantum mechanical properties of atoms and how they interact in extreme conditions. The Large Hadron Collider (LHC), a 16.7-mile long particle collider on the border of France and Switzerland, operates at -456° F, slightly warmer than the temperature required for Bose-Einstein condensates. Before colliding, particles can travel around the ring thousands of times. 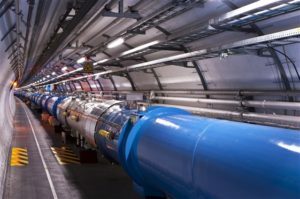 To keep particles along the track before colliding, the LHC uses strong magnetic fields generated by superconducting materials. Electric current is required to make the magnetic fields, which often generates heat (think of how cell phones heat up during charging). Superconducting materials, instead, create very little heat when cooled down to very low temperatures, creating the right conditions for physicists to use them at the LHC. These conditions enable the LHC to investigate the building blocks of nature. So the next time you are fretting over the cold, perhaps you can remember the physicists who need the cold to make discoveries happen. Peer edited by Lindsay Walton and Manisit Das. If you have any interest in science and have ever contemplated your existence within the confines of this universe, chances are that you’ve come across an interactive Flash-based animation called “The Scale of the Universe.” Developed by two 14-year-olds, Cary and Michael Huang, this animation allows the user to scroll through the entire universe, to scale. You can begin at a level that encompasses the entire known universe and scroll your way down 62 orders of magnitude through galaxies, planets, human beings, and individual cells, all the way to the tiniest subatomic structures. Speaking of those subatomic structures, we’ve all heard that they exist and that they are the foundation of everything. However, these tiny, weird constituents of reality are often ignored on the everyday, macroscopic scale. Many scientists have assumed that once trillions of atoms come together to form an organism, such as a human, quantum effects are diluted. However, physicists such as Erwin Schrödinger (of Schrödinger’s cat fame), Niels Bohr, and Albert Einstein (to name a few) didn’t ignore the quantum realm, and as it turns out, neither should you. There’s substantial evidence that the weird, short-lived processes of quantum physics directly and meaningfully influence things on a physiological scale. 1) Photosynthesis works because of quantum coherence.